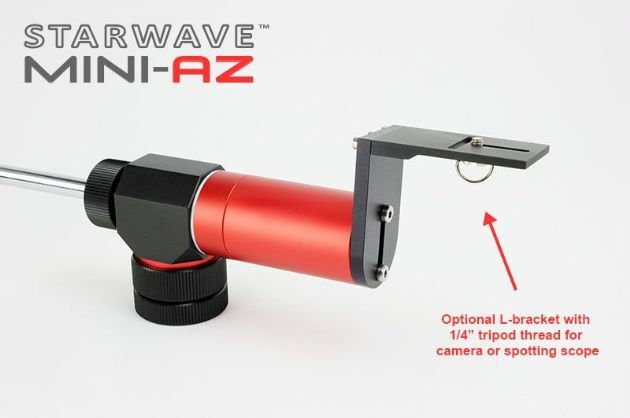 Lets you attach Cameras or Telephoto lenses or spotting scopes to Starwave Mini-AZ mount. Optional L-Bracket with 1/4" thread fitting. Lets you attach Cameras or Telephoto lenses or spotting scopes to Starwave Mini-AZ mount for smooth panning.